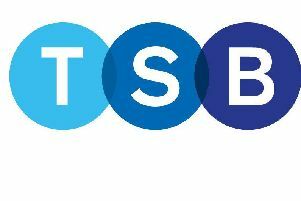 The TSB branch in Cupar which has announced will now operate reduced opening hours. The banking group claim that the way people now bank means they can no longer operate as they once used to. From the end of July the Anstruther branch will now only open three days a week while the Cupar office will open on a Monday, Tuesday and Friday . Responding to the announcement that the TSB branches are reducing their opening times North East Fife MSP Willie Rennie said: “This is yet another blow to the residents of North East Fife where changes to opening times and, even more worryingly, bank closures are becoming increasingly frequent. Stephen Gethins MP said: “Cupar and Anstruther have been affected by the closure of other banks and I know that many constituents including people with small businesses, have moved their banking to TSB, particularly in Anstruther, for this very reason.